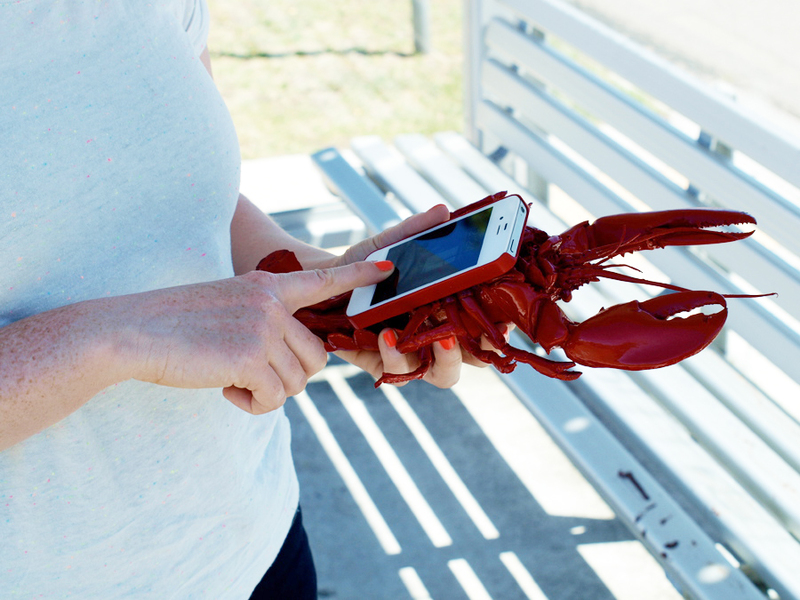 The red ‘Lobster Mobile Telephone Case’ is a modern appropriation of Salvador Dali’s ‘Lobster Telephone’ (Aphrodisiac telephone), created in 1938. Unlike the typical phone case, it doesn’t offer functionality of protection and style. Its features include; camera incapability, ergonomically awkward, too big for your pocket or handbag and most importantly, it’s ability to cause its users embarrassment. I NEED TO OWN THIS!! 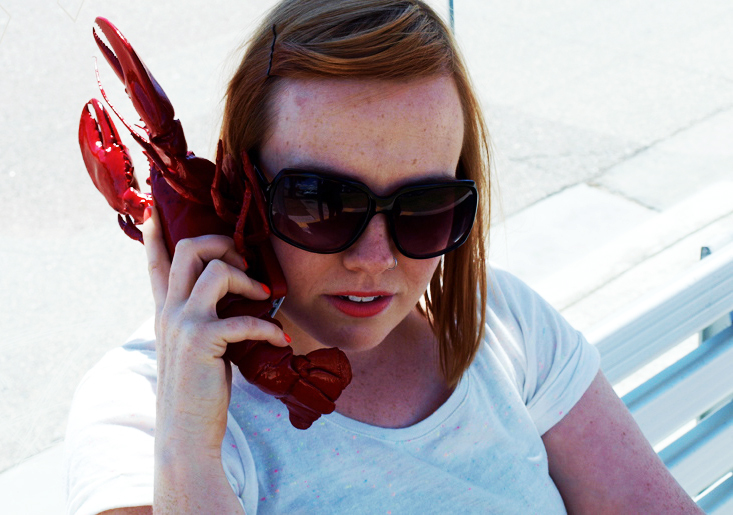 WHERE CAN I BUY A LOBSTER CLAW PHONE CASE. IS THIS REAL LIFE? 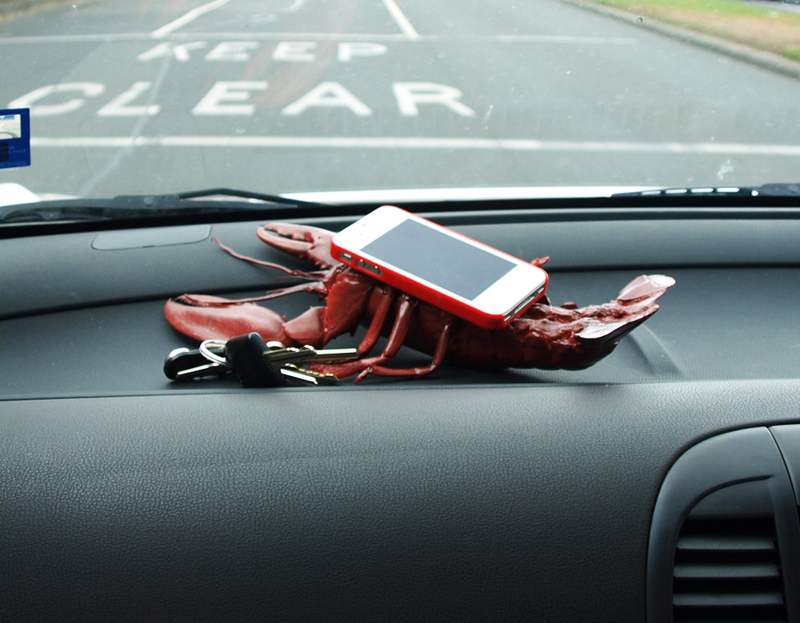 Thank you so much for your interest in the Lobster Mobile Case. I am glad it has appealed to you, however the phone case is more of concept piece to communicate a humorous narrative and will not make it to production. 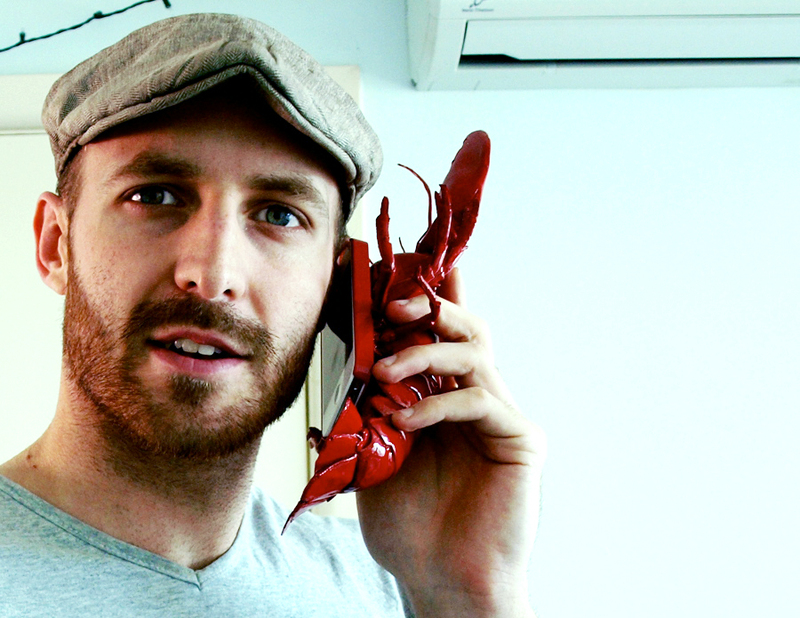 Please, I know the lobster phone is not going to make it to production- but I love it and own a lobster restaurant and would just be honored to carry this lobster around with me. So, if you ever consider getting rid of the prototype you made- please think of me. I too, !OVE the lobster case. Coming from a lobster rich state Rhode Island on the NE coast of USA, this would have fit so perfectly in my beach life! Wow, this is so cool, what is it made out of?Why is this still a concept, I kwow like a million people who wanna buy this. Just put one of this in a Lady Gaga videos and there goes your profit. Cha-ching. I really wanna buy one, can you make another one, how hard was it to make and how long did it take? Someone in China already packaging this and will sell this in U.S. and make alot of money. Hooray this is awesome. Awww, I love that case but to hear that it cannot be purchased, saddens me cuz I really would love to have one for my phone. Anybody have one they want to sell??? Mmmmmmmmmm… Thats so cute!!! Would love to own one off those!!! I am saddened and heart broken that this case will not make it to production. These photos alone are begging me to take it to my local bar and get the number of every female there. How about talking to Firebox.com – bet they would love to stock this on their website! What about creating a Jellybone to expand the concept? My bro used to call the telephone that for years when we were kids! You should seriously market this phone case!! I found it while looking for new phone cases on Google and I showed my friends and they find it funny and cool. I would definitely buy this phone case for myself and some friends!! I so need this case!!! Please let us know if you ever do send this case to production. I would buy one instantly! Thanks for your interest. unfortunately it never made it to production and was only a humorous commentary on mobile phones.